I have been so distracted by Joe Manganiello’s “growl” as werewolf Alcide on True Blood that I almost forgot how utterly captivating Tom Hiddleston is as Loki. Unless you’ve been under a rock for the past week, you probably know that Hiddleston served up some major fan-service at San Diego Comic-Con when he appeared in character in all his glorious Loki regalia at one of the panels. He had quite a bit of fun with the crowd. It is theatrics like this that make life worth blogging. My cheeks hurt from smiling so hard while watching that video. 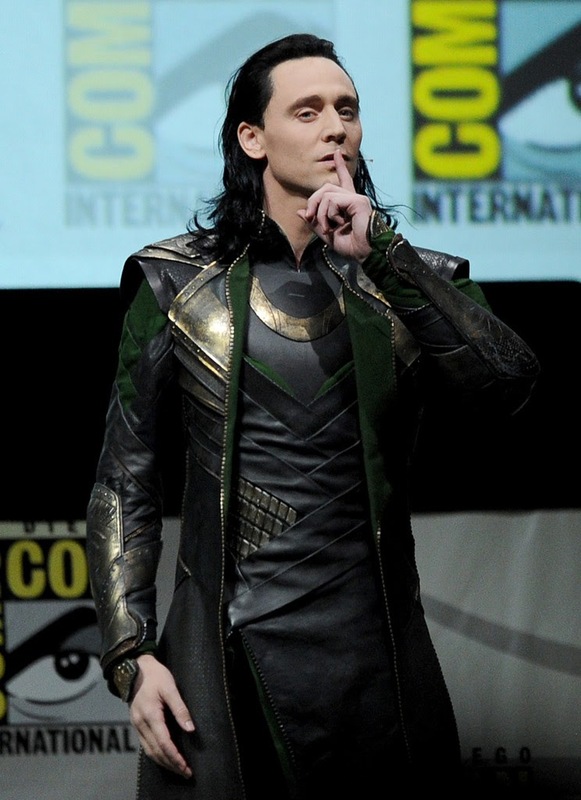 But I think it is especially important to acknowledge Loki’s immaculate shushing. A moment of silence please. And then there is that god damned smile. Thanks for this post V!! !